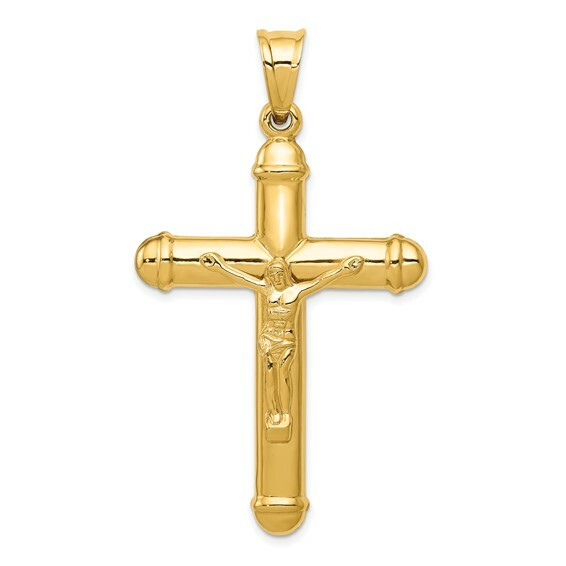 14kt Hollow Reversible Crucifix Cross Pendant has rounded ends. Weight: 2.92 grams. Item measures 1 1/4 inches wide by 1 23/32 inches tall without loop and bail.